For Fall 2018, the Barrett Robinson Team Award winner for senior design was team Ohmonics. Team members Renzo Alvarez, Joe Bean, Alyssa Berding, Gabriel Ferrate Cuartero, and Jacob Kane designed and prototypes a self-contained analog keyboard synthesizer. Team member Gabriel Ferrate Cuartero was selected as the Eaton Award winner, which recognizes the top individual in ECE 49022. Each semester, the staff for ECE 49022: EE Senior Design Projects selects a team and an individual that stand out among the rest. For Fall 2018, the Barrett Robinson Team Award winner was team Ohmonics. 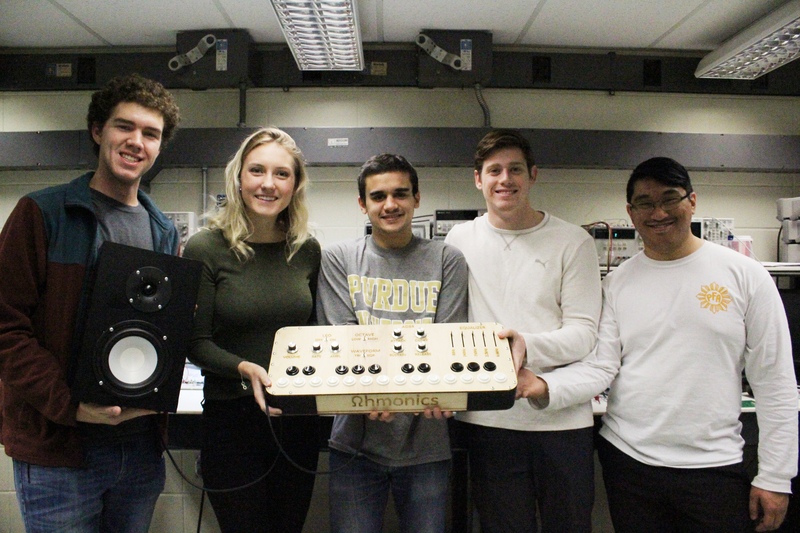 Team members Renzo Alvarez, Joe Bean, Alyssa Berding, Gabriel Ferrate Cuartero, and Jacob Kane designed and prototypes a self-contained analog keyboard synthesizer. Bean says they targeted two groups for their theoretical users. internally regulated dual sided voltage rails from a standard commercial DC wall wart output. Team Ohmonics was chosen for the award based on their ability to communicate with each other, the quality of their work, and, when they were ahead of schedule, their decision to develop near-professional packaging at the Bechtel Innovation Design Center (BIDC) rather than just completing the course early. 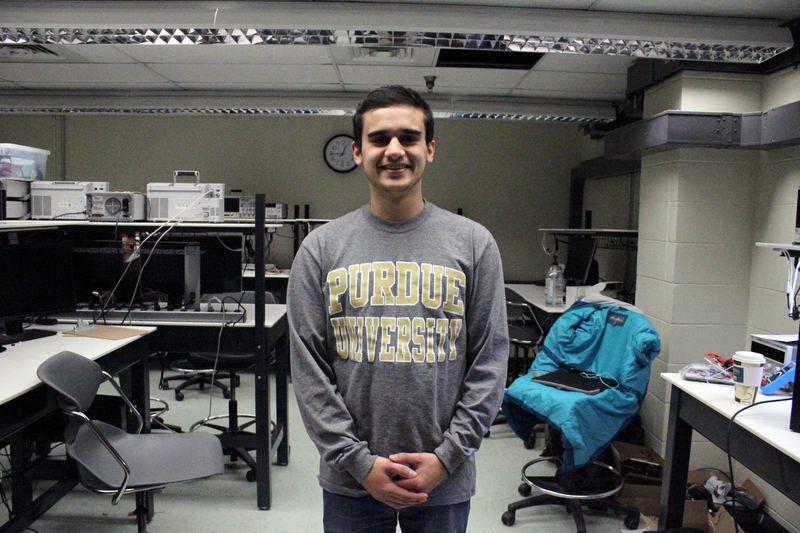 Team member Gabriel Ferrate Cuartero was selected as the Eaton Award winner, which recognizes the top individual in ECE 49022. Gabriel was primarily responsible for designing the voltage-controlled oscillator and implementing the user adjustable controls that set the oscillator parameters and output shape for the synthesizer. Senior design staff noted that in addition to accomplishing his own design, Gabriel was a true team leader who provided assistance to his teammates and also led the side project of creating the professional quality packaging for the project. In the days following the completion of the course, he also created an automatic sequencer complete with its own packaging. In addition to the team and individual awards, team Ohmonics’ project was recognized by Texas Instruments as the winner of the Best Use of TI contest. It has been featured on the company’s website and social media.